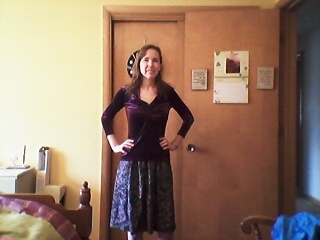 This rayon floral skirt was one my earliest sewing projects from high school. So matronly! I used to wear it with a mauve cardigan. Anyone remember the color mauve? 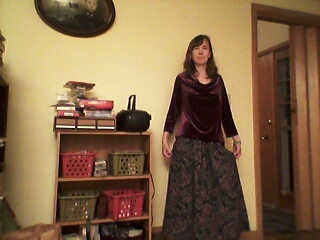 The workmanship on it was so poor (and the waistband was - ahem!- so small) that although it looks like I just shortened it in the after picture, I actually remade the whole thing. Cut the top off, made a new waistband and put in a zipper, even redid the seams because the stitch length was huge and they were unfinished. Even the hem was bad. But, I was just learning. 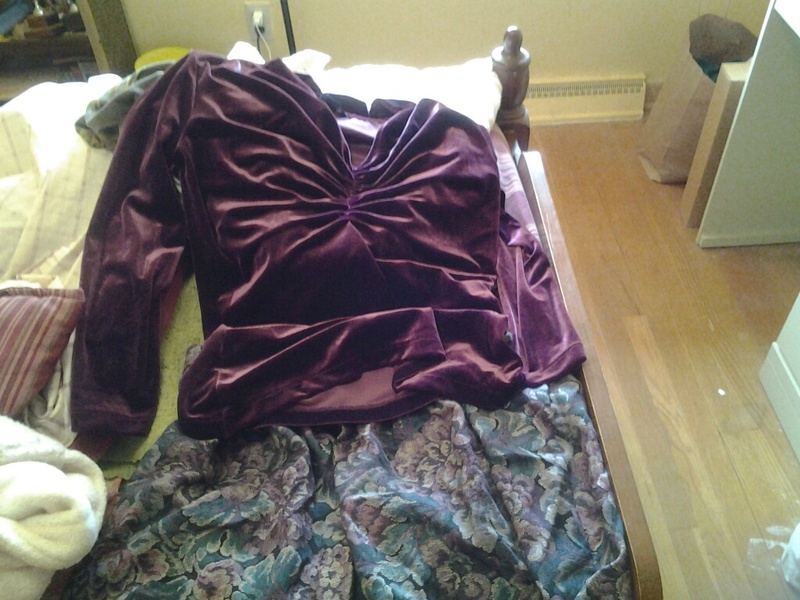 The velour shirt was something I got recently at the Goodwill. It turns out that waterfall necklines can just be gathered in the middle to create definition at the bust. It is not my normal style, but I thought I'd try something different. I was originally going to sew the pieces together to make a dress but decided it would be more versatile as separates. So much cuter now! I never would have thought to just gather the neckline, but I love how it turned out. Great job!